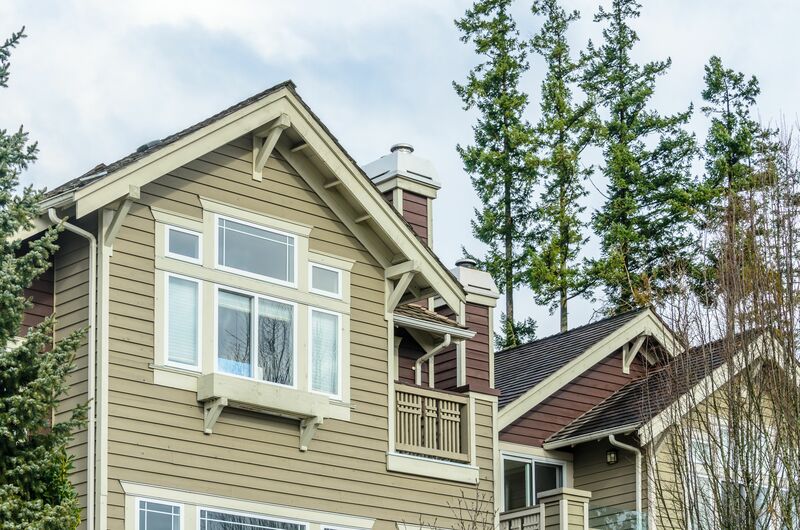 Gutters are usually categorized based on dimensions; i.e. the width of the gutter’s upper part. 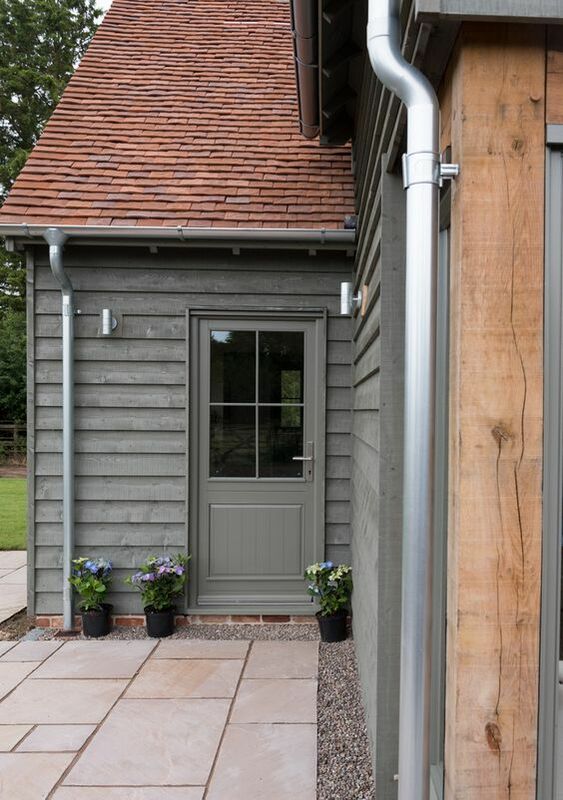 Five-inch (12.7 cm) gutters are the most common model and ideal for a majority of residences. For farms, commercial buildings and houses that need to drain large volumes of water, 6-inch (15. 2 cm) gutters are recommended. 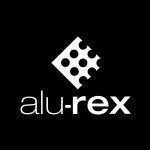 Aluminum is a popular choice because it is accessible and versatile as far as colors, profiles and formats are concerned. It can also easily withstand bad weather and is resistant to rust. 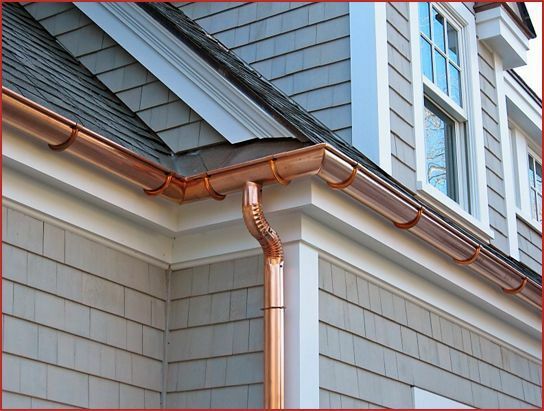 Although it is very expensive, copper perfectly matches the style of old houses and those with a copper roof structure. It is visually appealing, very durable and rust-proof. On the other hand, its color becomes dull over time and turns greenish. Galvanized steel is strong and durable, particularly in snowy conditions. Its rough finish gives it a nice look, but it will eventually rust over time. Vinyl is usually the most affordable option. Even though it will not rust, vinyl does not perform well in very cold conditions and its color may change over time. 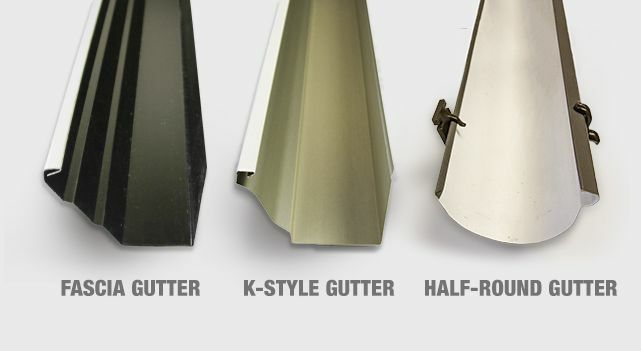 “K” style: Very widespread model mostly referred to as “conventional” gutters. Semicircular: Semicircular gutters were used extensively until the 1950s. They are still very popular in Europe today. Fascia: This model is very widespread in Western Canada. The bottom of these gutters features a fascia profile (also called “moulded gutters”) that is smaller while the gutter itself is taller. 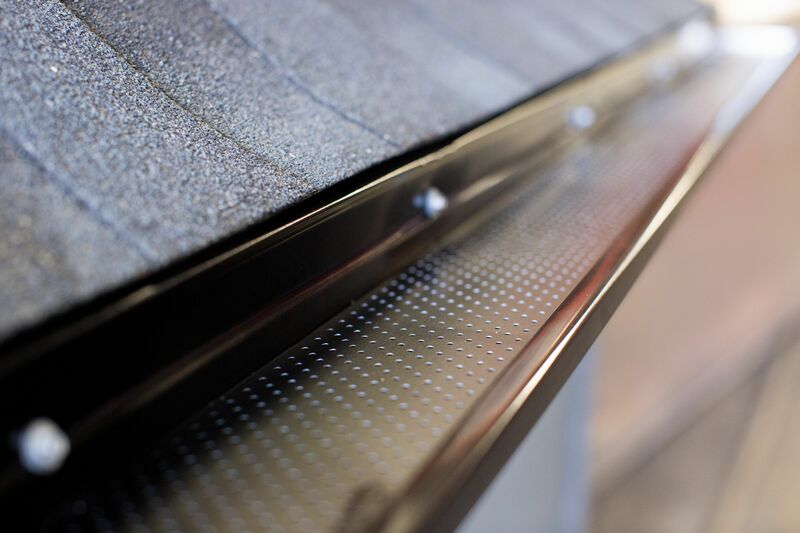 Seamless gutters are custom-made (and installed) by professionals, using a special machine specifically designed for gutters. Most aluminum gutters are seamless, while some other materials are only available in a sectional model. Sectional gutters are also available in retail stores in predetermined and pre-cut lengths. They are easy to install (DIY), but seams and spacings between joints are to be expected. 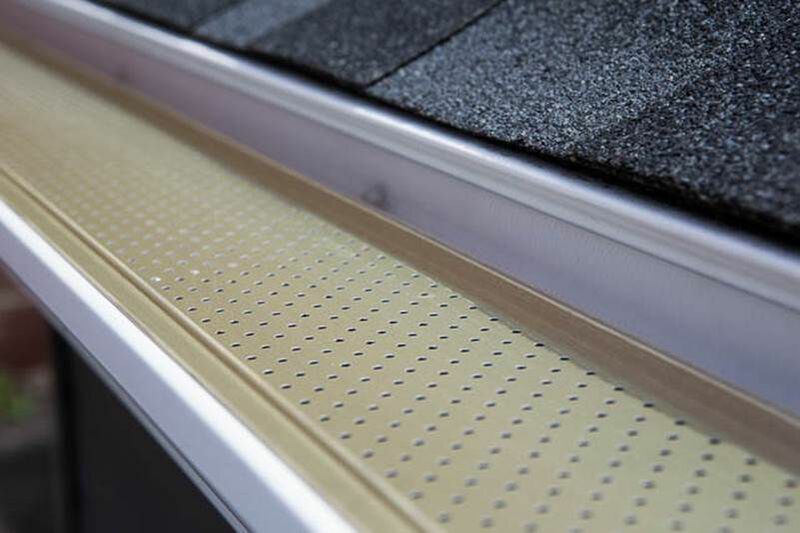 For existing gutters, the Gutter Clean System is installed over your gutters to protect them against leaves, debris, snow and ice as well as to prevent clogs. 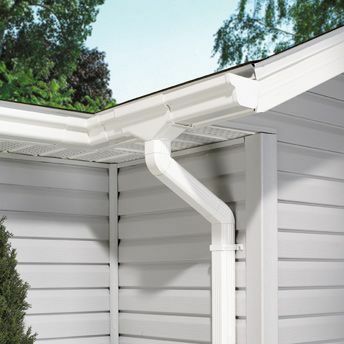 New gutters equipped with the T-Rex continuous hanger are sturdy and protected against the elements, in addition to being closed and seamless. 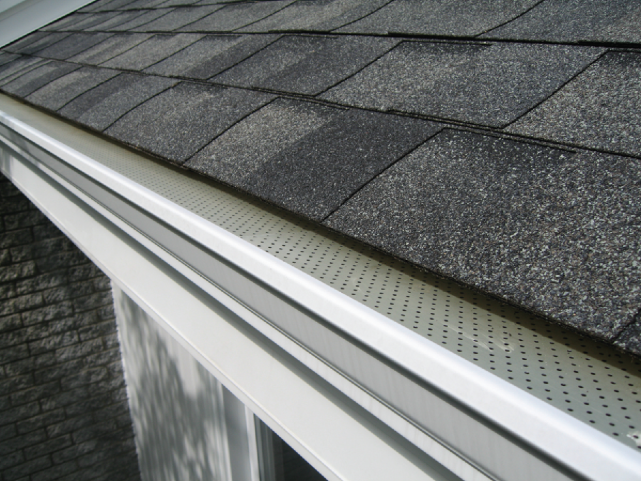 As mentioned above, seamless gutters should be installed by professionals. As for sectional gutters, you can choose a DIY installation or, for more accurate and thorough work, you may want to entrust this project to experienced installers.